Nose surgery (or rhinoplasty) is a surgical procedure that can produce changes in the appearance and structure of the nose. Rhinoplasty can reduce or increase the size of the nose, change the shape of the tip, narrow the width of the nostrils, or change the angle between the nose and the upper lip. In addition to cosmetic enhancements, nose surgery can correct breathing patterns and nasal obstructions. This operation can also help correct birth defects and nasal injuries. There is not a universal type of rhinoplasty surgery that will meet the needs of every patient. 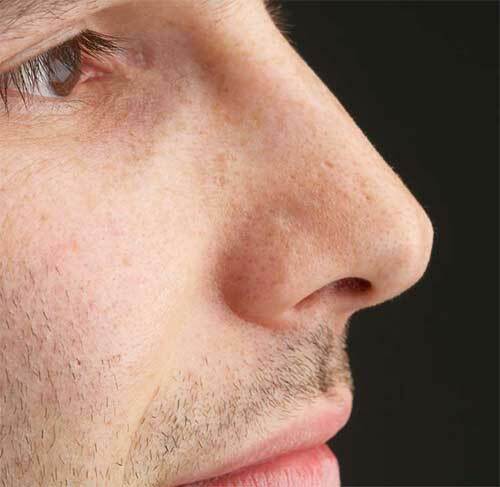 Rhinoplasty surgery is customized for each patient, depending on his or her needs. Dr. Rumer will work with closely with you in order to create an ideal nose with a shape and size proportional to your face and features. General anesthesia is typically used, but minor work like narrowing nostrils may require only a local anesthetic. An incision is made inside your nostrils to remove bumps on the bridge. The nasal bone may be broken and precisely realigned, and the septum (the area separating the nasal compartments) may be altered to improve breathing, while sculpting and sizing will be done according to the surgical plan. Small dissolvable sutures close the incision inside the nostrils, small pads are inserted to block bleeding, and a plastic cast is placed on the nose bridge, and then is removed in about a week. Surgery typically takes two to three hours. Post-op icing is important to reduce swelling and bruising. Most patients can go home three to four hours following surgery. You should keep your head elevated, expect difficulty breathing through the nose for a few days, and avoid nose blowing, hanging your head down, and vigorous activities for three weeks. When your nasal bones are broken and reset, black eyes and swelling may linger for up to two weeks. Swelling will gradually reduce within a month. It may take up to a year for you to see the final results, but most people see 90 percent results within three months. Most patients return to work within a week of surgery. Expect to begin light cardio within four to five days and moderate to intense physical activity (including strength training) in two to three weeks following surgery. You can return to strenuous activities in six to eight weeks. You should avoid hitting nose for eight weeks.